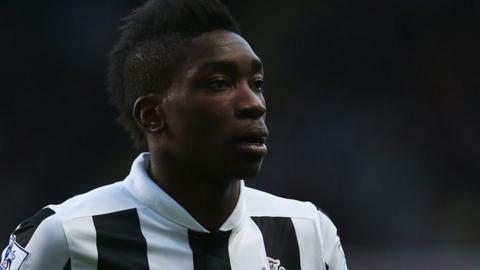 Middlesbrough have signed Newcastle United winger Sammy Ameobi on loan until the end of the season. The 20-year-old, who is the younger brother of Magpies striker Shola, has failed to find the net in his 14 appearances this season. "He's an out-and-out wide player, who can operate on either side, and will be ideal when we want to play with two wingers," said boss Tony Mowbray. "He will hopefully give some players a lift and create some competition." Newcastle manager Alan Pardew hinted at the weekend that he was open to a deal for the England Under-21 international as he had not featured since January's FA Cup defeat by Brighton. After breaking into the first-team last season, Ameobi was rewarded with a contract until 2015. He joins a Boro side seventh in the Championship, but only one point behind Brighton, who currently occupy the final play-off place.